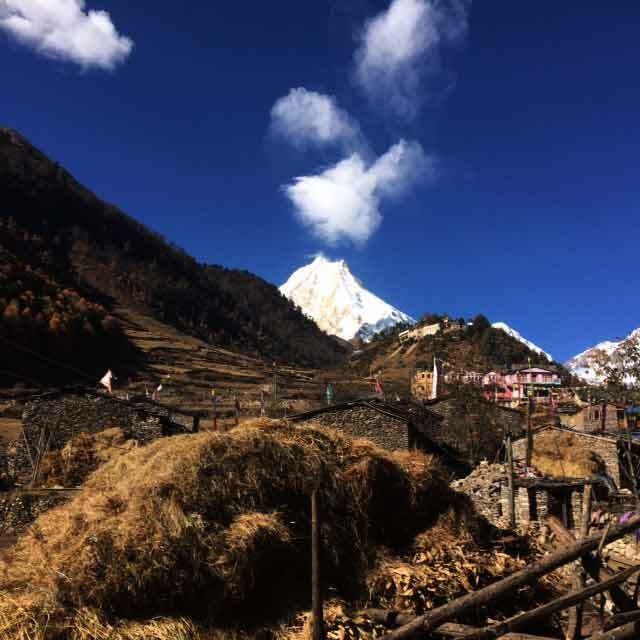 From the Hindu Middle Hills culture to the Tibetan high country dwellers, the Manaslu Circuit, Nar Phu, Tilicho and Jomsom trek in the heart of the Nepal Himalaya is a cultural trek par excellence, without a doubt one of the best treks in Nepal. The spectacular mountain scenery has to be seen to be believed. 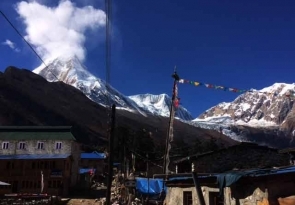 Manaslu trek is one of the newest trekking routes in Nepal, combining two spectacular treks into one unbeatable journey, which incorporates Nepalese and Tibetan culture, and spectacular scenery – the huge peaks of the Manaslu, Annapurna and Dhaulagiri Himal and the remote, glacial valleys of Nar Phu (named after the villages Nar and Phu) in the upper Manang region. Drive from Kathmandu into the western mountains take us to Gorkha, the Capital of Medieval Nepal. A further drive on a dirt road and we reach reach Arughat, our trek start point, The dirt road from Gorkha to Arughat may not be drivable during the monsoon season. In that case, we may have to begin our trek right from Gorkha and reach Arughat in the evening. Arughat is a major town in the region and is divided in two parts with the Buri Gandaki River flowing between them. 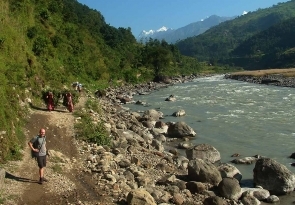 We cross the bridge over Budhi Gandaki and begin our trek from the western part of Arughat. After completing with the ACAP procedure, we follow the stone-paved street north through the bazaar. 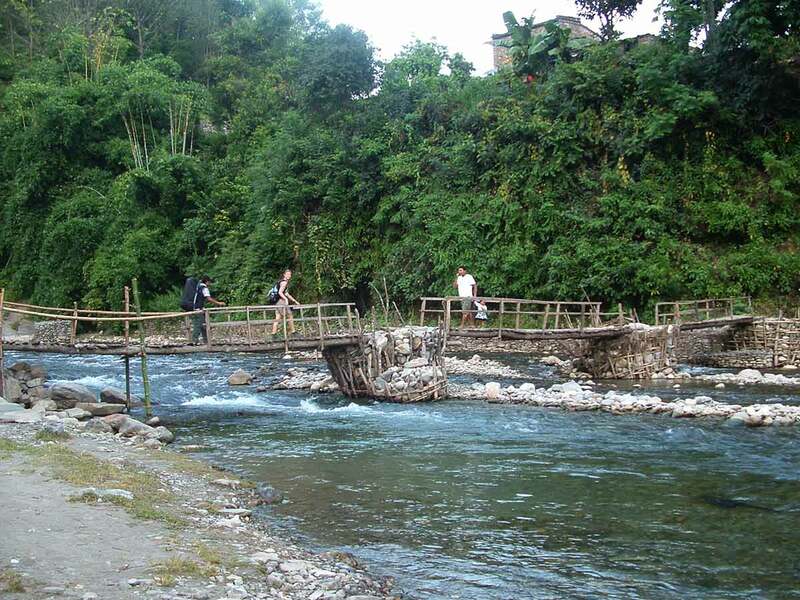 We pass through the hydro- lectric power plant, fields of rice and millet to Maltar, and through forests Sante Bazzar. The trail to Budhi Gandaki valley now becomes steeper and the trek more difficult as we cross the Arkhet Khola on a suspension bridge, passing the shops of Arkhet. Descend to a high, cascading waterfall making a long steep slog up a ridge to Kyorpani. Then from here the trail descends to Soti Khola. Cross the bridge and trek through the beautiful Sal forests, then climb onto a ridge above huge rapids on the Budhi Gandaki. We then reach to Khursane. The rocky trail then weaves its way up and down, past two tropical waterfalls on a steep, rocky trail clinging to the side of a cliff. It eventually makes its way down and past a few rice terraces, then up and around to the Gurung village of Labubesi. Climb behind a rocky outcrop, where the valley opens and the Budhi Gandaki meanders among wide gravel bars. Drop to the sandy river bed and walk along rounded stones before climbing over a side ridge. 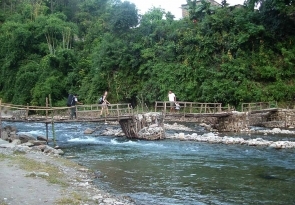 Head down again to the river and traverse to Machha Khola village. The narrow trail makes some minor ups and downs and eventually crosses the Tharo Khola, flowing in a rocky ravine, then reaches Khorlabesi. After a few more ups & downs there is a small trailside hotspring, from where we reach to Tatopani. From the Hot spring we climb over another ridge, then cross the Budhi Gandaki on a suspension bridge. Climb on a wide, well-crafted staircase, then across a landslide and over a ridge to Dobhan. Crossing a suspension bridge over the Yaru Khola we climb the stone stairs and then drop to the river and again climb more stone stairs to Tharo Bharyang. 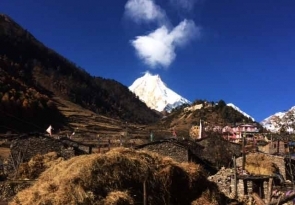 Cross to the west bank of the budhi gandaki, climb over a ridge, and trek along the river then climb towards the village of Jagat. The path follows the river upstream through dense forest. After crossing the river at an impressive spot where it thunders down a narrow gorge, the forest becomes less dense and the trail is fine again. The pleasant walk continues and after a last steep climb we reach Namru. To the south rises a huge peak, Himal Chuli. 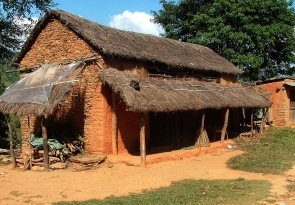 Climbing steadily in the shade of a forest takes us to Lihi, a fine village with many chortles and many barley terraces. We still have quite some way to go to Lho. Ganesh Himal raises high into the sky when we turn around. The trail drops and crosses the side valley of Simnang Himal. A chorten with detailed paintings announces Lho, another nice village with fine views up the open valley. One final steep slope needs to be climbed and then we reach the houses that are lined up on a ridge. The Buri Gandaki is far down but we follow a small tributary instead. 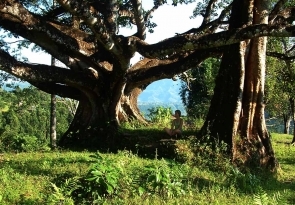 Walking in the shady fir forest is very enjoyable, a short climb to a plateau and the village Shyala. 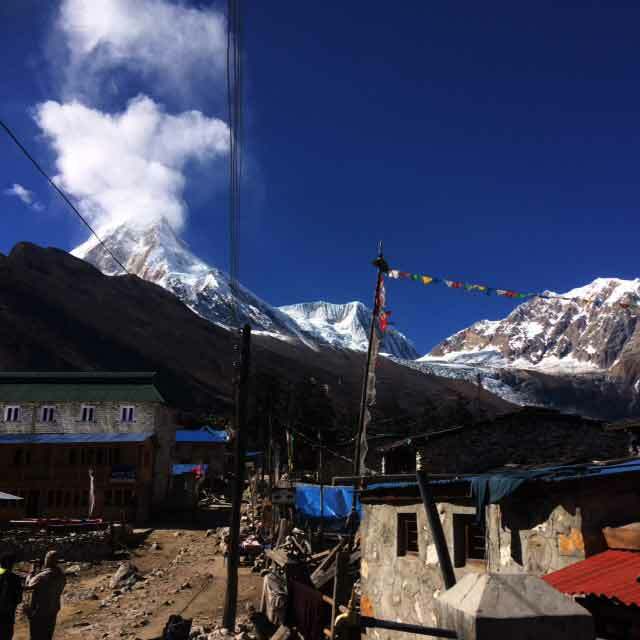 Huge mountains surround us, Himal Chuli and Peak 29 (Ngadi Chuli) to the left, Manaslu and large glaciers straight ahead, other snow summits to the right, at the far end of the valley we have just come from stands Ganesh Himal. From a large chorten we look down into a little dip where two rows of houses form the main part of Sama. At the far end of the village, overlooking the valley stands the well-known monastery of Sama. 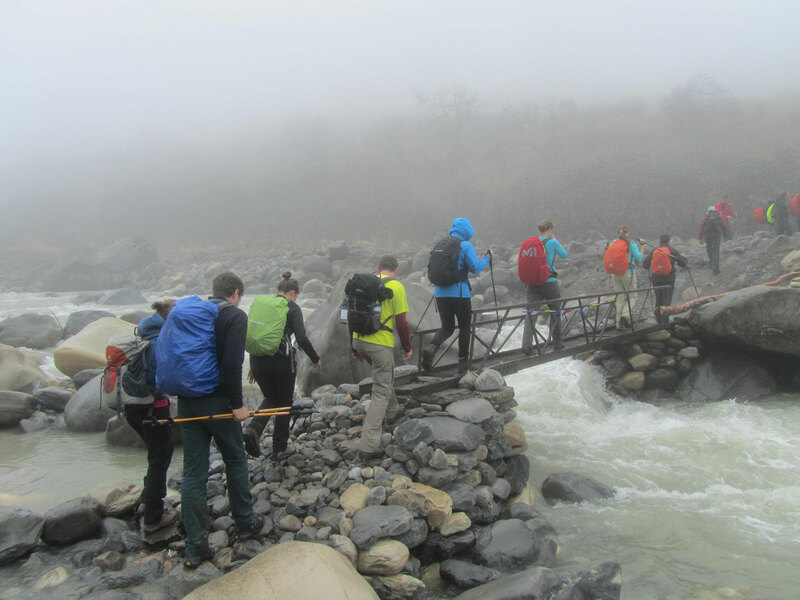 we continue our walk down the edge, cross the wooden bridge over Buri Gandaki and begin walking upward. Cross two streams and witness the Larkya Glacier. 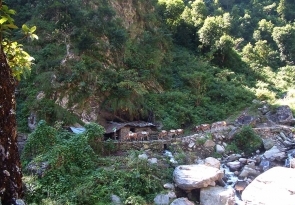 Go around the valley of the Salka Khola and climb up again and come to the stone guest houspension bridge. Climb up and away from the river and hike through a broad, flat valley to the village of Tal (1,675m), situated at the foot of a large waterfall. 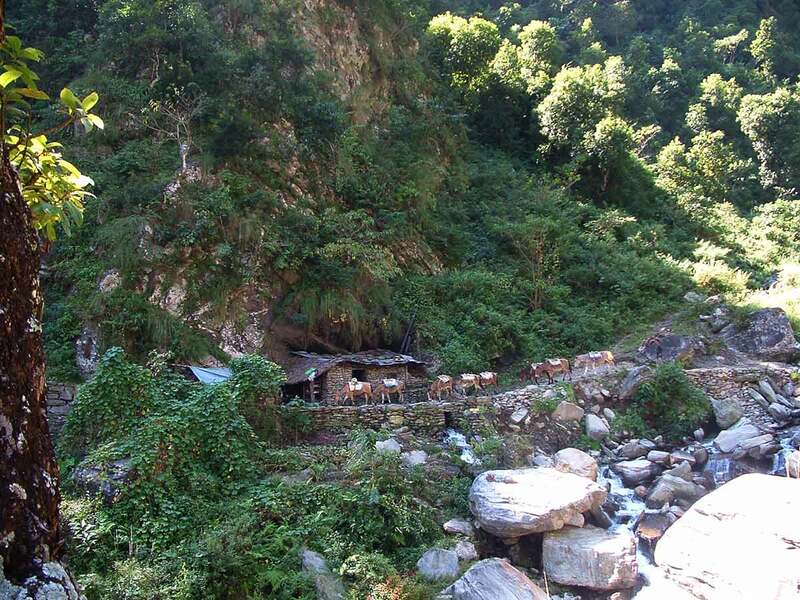 The trail continues on to Chyamje, recrossing the river once again. It then descends through forests of rhododendron and pine to Syange. The Marsyandi valley opens and on its banks terrace fields and villages clung very high to the hillsides are the age-old work of the Nepalese farmers. 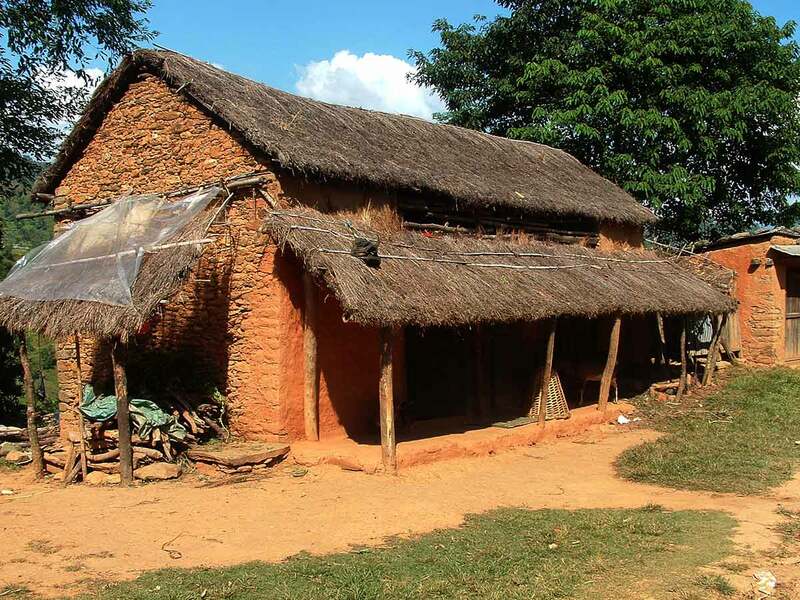 We cross several interesting villages as Bhulbhule, Khudi. Then we walk on a flat part alongside the left bank of the Marsyandi, a last walk up for reaching Besi Sahar, a dusty and busy place which marks the end of our trek and further drive back to Kathmandu. Today after breakfast, transfer to the international airport for your onward destination.